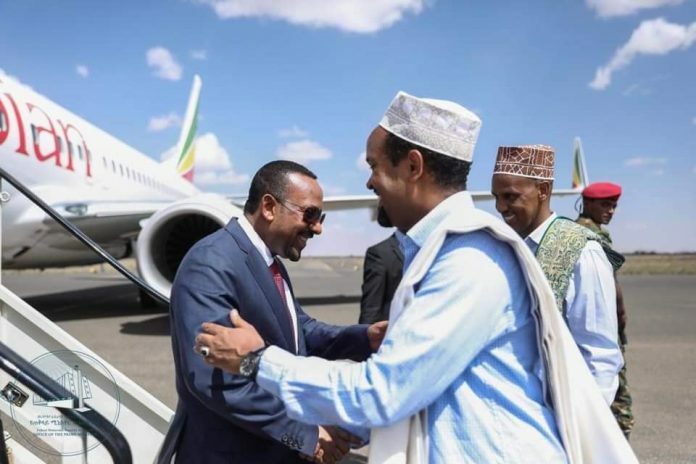 Ethiopian Prime Minister Abiy Ahmed on Wednesday arrived in capital of the eastern Somali regional state, Jigjiga, to attend the closing conference of the state’s ruling party, the Somali Democratic Party, SDP. The party on Monday started its organizational conference, the first for its new leader Mustafa Omer who took over last year after the former leader was deposed over human rights infractions. 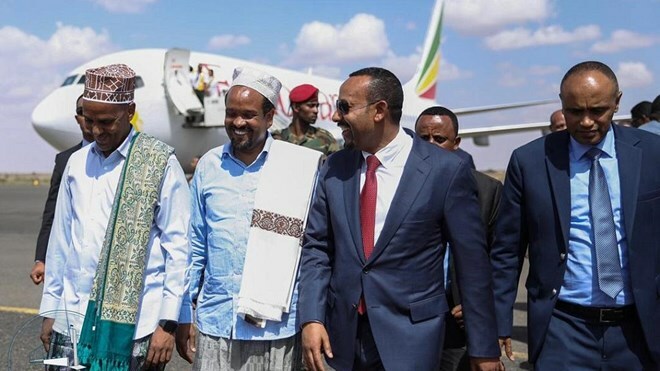 Abiy has over the last one year kept a close eye on the SDP which is a satellite party of the four-member ruling coalition, the EPRDF. 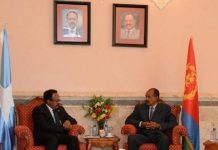 He recently met with Omar and leader of the party Ahmed Shide – who happens to the Finance Minister, to help resolve intra-party issues. Shide was elected chair of the party with Omer as deputy chairman. Political watchers had projected that the party was expected to undergo significant reforms since its creation in 1998. Shortly after taking office Omer’s leadership made two main changes – with respect to the state’s name and its flag. The name change from Ethiopia Somali regional state to Somali regional state was officially ratified by members. A new logo was also adopted on day two of the conference. 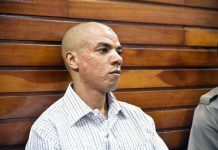 Its former leader Abdi Mohamoud Omar also known as Abdi Illey, has serially been accused of human rights abuses and is currently facing trial in the capital, Addis Ababa.